If you’ve ever played guitar, you know that the more you practice the more your hands get calloused. These callouses form on your fingertips and you begin to lose sensitivity in those areas. Callouses are a natural part of playing guitar, the more you play, the more calloused your hands get. It’s often easy to develop callouses when it comes to the things of God. For example, it’s really easy to get used to hearing the gospel. You may have heard hundreds of times about God’s love toward you. You might have heard all the stories in the Bible tons and tons of times. If you hear it enough, sometimes you take it for granted or even become a bit calloused to the things of God. 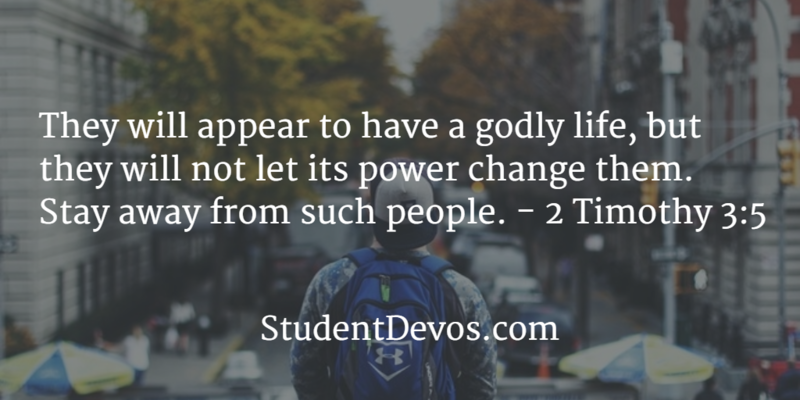 This is an example of living a Godly life, but not really experiencing the power of that life. If you become calloused to the gospel, it means you’re no longer excited about the things of God. As you lose excitement, you begin to stop living in the light of God’s word. Doing this causes the gospel to lose it’s power in your life. So today, choose to not become calloused to the things of God. If you’ve lost some of your excitement for God, determine to spend more time in God’s presence. Choose to make time with Him a priority. Make knowing Jesus the most important thing in your life.